QR codes can be scanned by the average consumer via mobile phone camera. There are a wide variety of free applications available for the various smart phones. (I like RedLaser for iPhone and Android.) To read the code, simply open the application on your phone and align the camera over the bar code. With most of the apps, it is better if you don’t scan too close. Give your phone space of at least 4 inches – or several hundred feet when scanning a large code on a billboard. Once the code is scanned and recognized, your phone will do the rest depending on the type of data encoded. There are many effective uses of QR codes, but the most common types of information to share include: simple text, website link, calendar event, WiFi login, GPS coordinates, and contact information. From a business perspective, the primary function of QR codes is to connect with people in the offline world and bring them to the online world. To do this effectively, your QR code should provide some kind of user experience that enhances or explains the real world. And most importantly, when leading users to a website, make sure it is mobile-friendly. A large number of QR campaigns fail because businesses just link to their non-mobile-friendly website. This is neither compelling nor functional for the user. When putting together a QR campaign, here are a few tips to keep in mind to make your setup and overall campaign more effective. Build in tracking information: When creating the codes, make sure you can track key pieces of information such as how many times the code is scanned and where it was scanned (physical location – particularly if you have many codes for the same campaign). Must lead to mobile-friendly information: This is the #1 reason QR campaigns fail. 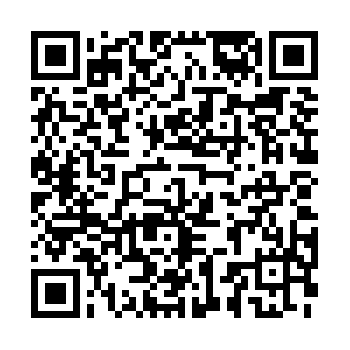 QR codes are scanned by mobile devices, so whatever information you are embedding, make sure it is mobile-friendly! Code must be in an area with strong cell signal or WiFi: There is nothing more disheartening than putting a lot of time and money into developing a killer QR campaign only to discover that none of your customers can interact with it because there is no internet signal in the location you’ve chosen to place your code. Drive traffic to leave reviews: Guest reviews – both on your website and third party sites – are an increasingly important part of the search engine algorithms. Create a mobile review page and leave QR codes in strategic places (like the footer of the folio upon checkout) to encourage guests to leave reviews while the stay is still fresh in their minds. Print material: Include a code to your mobile site or specific seasonal packages in your brochures, magazine ads, newspaper ads, billboards, etc. 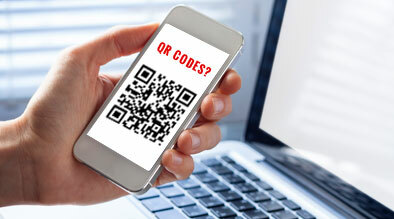 Create a unique discount code available only to users that scan the code in your printed material. Dinner reservations: Leave a QR code on a sample menu in the window of your restaurant linking directly to your OpenTable page so guests can easily learn more and make a reservation during non-business hours. Map of the property: Particularly for large resorts the first day or two on the property can be a bit daunting. Leave QR codes that link to an on-property map to show guests where they are, what’s close to them, and how they can get to where they are going. Fun & Games: Get your guests engaged in your hotel by rewarding their curiosity. Create weekly treasure hunts linking from one QR code to another to give your guest a fun and rewarding way to make their way through all the best parts of your property. Bar codes are not new technology, but they can be an incredibly effective way of bringing the real world to your website. With a little careful planning, you can create a QR campaign that will enhance your guests’ experiences, improve your search engine ranking and make you stand out above your competition. Thank you for the information on QR codes.